Joshua Zecher-Ross, music director at the Cohoes Music Hall is doing his part to make sure children are warm in winter months. 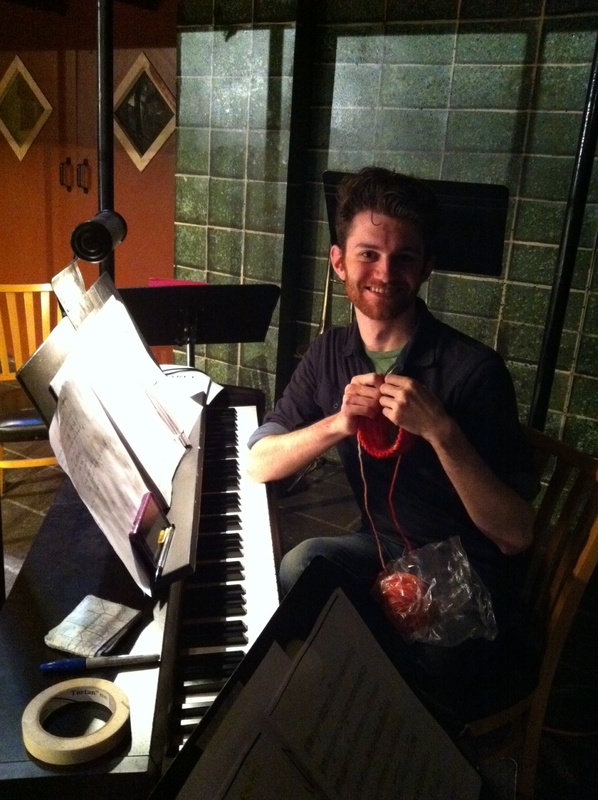 Here he takes a break from conducting the orchestra during a rehearsal for Cabaret at the Cohoes Music Hall to knit a few hats for Hats For A Purpose, our special project to provide winter hats for kids. 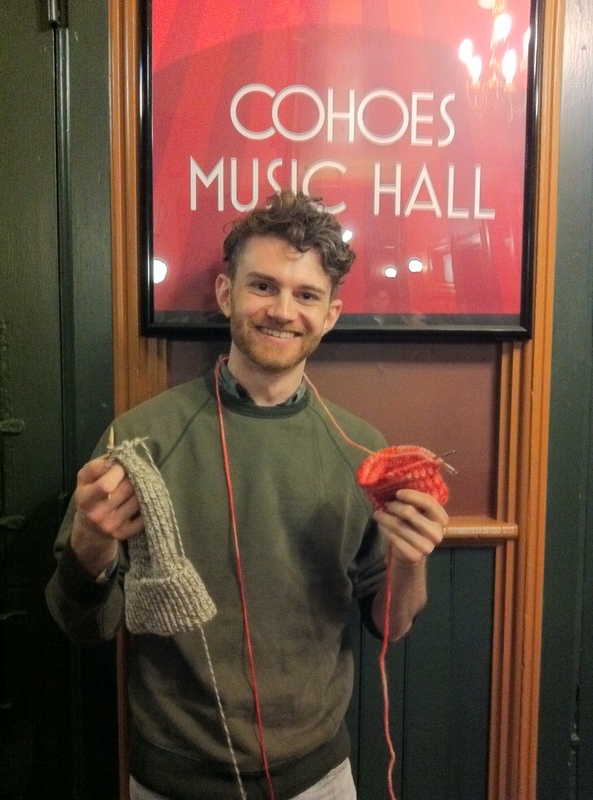 Joshua taught himself to knit a few years ago and enjoys the respite it gives him from a busy day. He also dyes his own wool using, of all things, Kool-Aid. He uses white wool and various flavors of Kool-Aid to make unique colors. Joshua reminds us that you must wash the wool throughly after dying. I was happy to meet Joshua this past weekend and thank him for donating his hats to Hats For A Purpose.